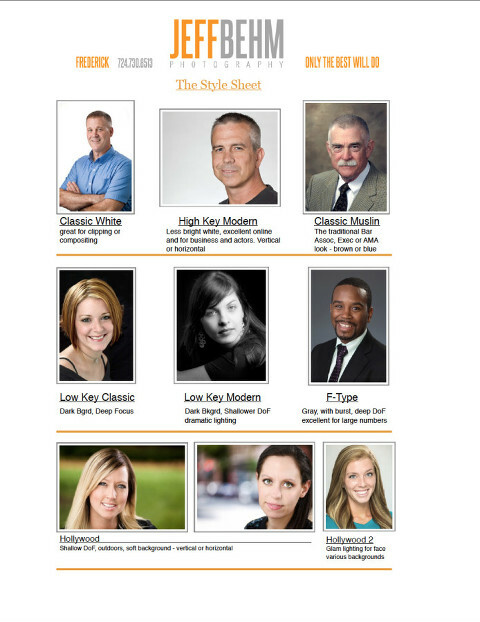 Headshot Decisions Made Simpler – Thank Goodness! Has your supervisor ever handed you an assignment like this? “Find us a photographer that takes great head shots. Find out whether they come here or we have to go there and can they do it within this budget?” Or, worse still, “Find us a photographer for headshots.” Huh? Good grief! What can you do with that, become a mind reader? What kinds of head-shots, Boss? Formal, casual, on white, on black? How will they be used? Is retouching included? Are they going to be that stodgy old style like your grandpa? Or something fresh and cool? Jeff Behm Photography: take advantage of our style sheets, our menu style pricing, great service and your choice of whether we come to you or you come to the studio. Best of all, we guarantee our work, and have for 25 years. It’s right, or we’ll make it right. Ask for information on this important consideration. After all, what other photographer do you know who guarantees their work?